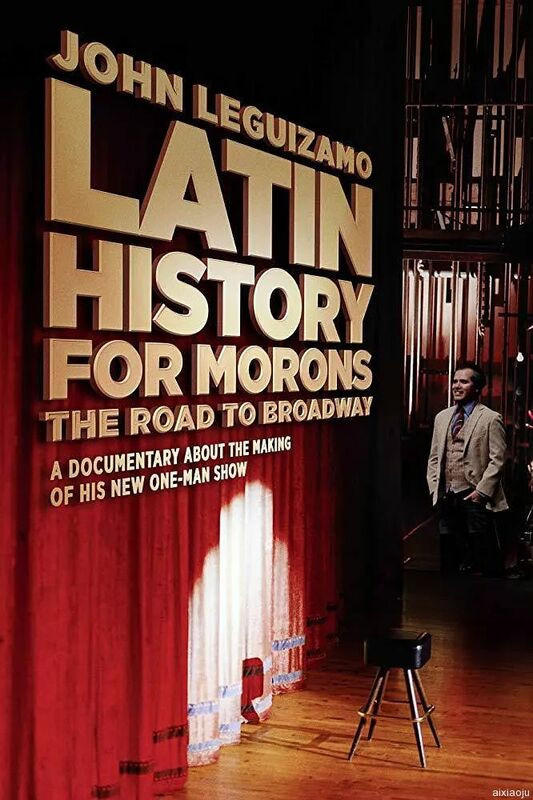 Latin History for Morons: John Leguizamo's Road to Broadway captures John's quest to cram 3,000 years of history into 90 minutes of stage time and bring a whole new set of historical characters back to life as one man. Infused throughout the documentary is John's special brand of humor and openness. The road to his ultimate goal - his next Broadway hit - unfolds in a fun, intriguing, and poignant adventure that not only offers an intimate look into the journey of a passionate artist, but also shines a light on the rarely-told stories of Latino heroes who made their mark on America. Featuring exclusive behind-the-scenes footage of the one-man show taking shape, the film follows John's riveting process - from his early inspirations and research, to his first-ever comedy club tour, through workshops of the show - before culminating in performances at the historic Public Theater as he aims for a Broadway run. Along the way, John navigates the challenges of writing (and re-writing) history lessons meant to enlighten and entertain.